Buh-Bye Bronze, Gotta go Gold, See ya later Silver…I'm all about Copper right now. Well truthfully, I've been all about copper for a while …copper says ‘warm and comfy' to me and I've been adding more of this metal to our home for the past several years. And, if you are wondering to yourself, “What makes Lynn such an authority on gift wrapping any way?”…well, I'll have you know that I would wrap presents at Sears when I would be home from college over Christmas break. So yeah, I am a bit of an authority. I cut letters with my Cricut. I adhered the paper side to the Cricut mat so that the felt fibers didn't stick to the adhesive of the mat so I reversed the letters. I love the richness that results from the combination of the red and copper glitter. I was surprised that it was a little difficult tracking down metallic copper gift wrapping! I ended up ordering mine on Etsy. Here's the link if you are having as hard a time finding it as I did. 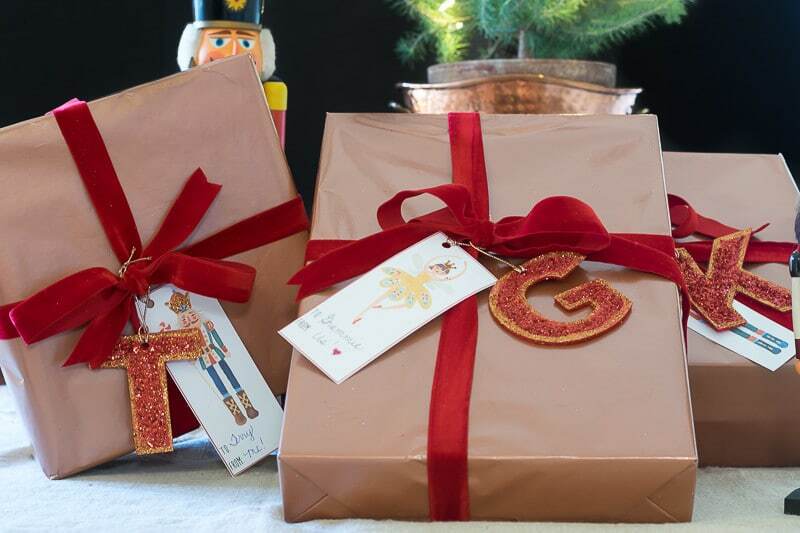 But, don't you love the red and copper tags against that copper gift wrapping!?! 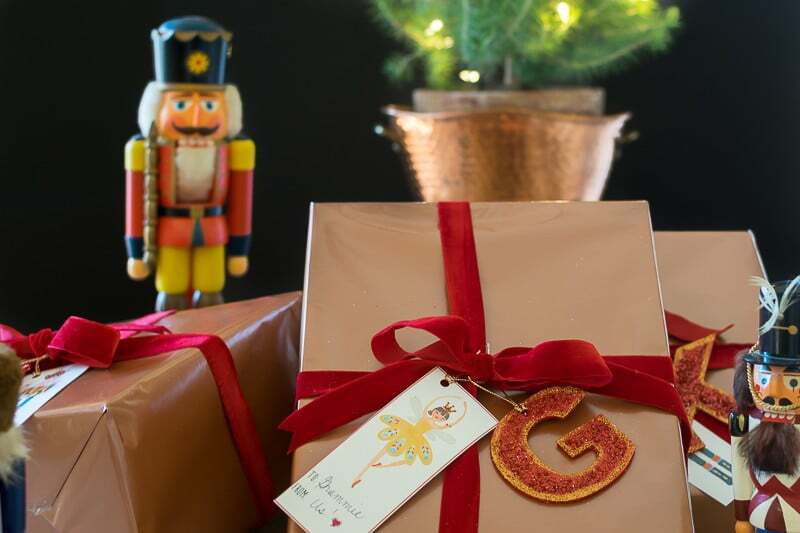 These nutcracker tags are the perfect compliment to my glittery initials. I used my very fine paintbrush to add some glue to the parts of their helmets or crowns that were copper and sprinkled those with copper glitter as well. I also did the epaulets of the soldier. Have you started your gift wrapping? Actually, I've done three (count 'em! )…but I'm so happy with my copper gift wrapping that I think I'm going to order more paper and velvet ribbon. I also think I'm going to be making more of these glitter tags to put with the gifts to my extended family and friends. They were so easy to make! Bookmark this page or pin it for your future reference. Make sure you take some time to pop in and see all the other great wrapping paper ideas that these talented and creative bloggers are sharing today. 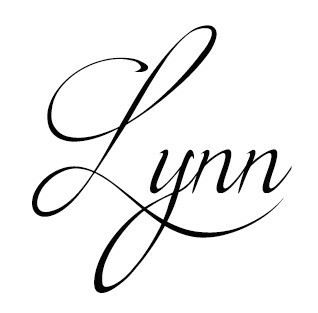 Lynn – your gift tags and packages are beautiful. We too love everything copper and your ideas are so creative and festive. Embarrassingly, no gifts have been purchased by either one of us yet! we need to get busy LOL. Wishing you and yours a happy, joy filled holiday season. Thanks for kind comments Vicki and Jenn…copper is such a warm and inviting metal, isn’t it. Don’t feel bad, those were the only two gifts I have purchased thus far…so I’m pretty much in the same place you are. I’ve just recently started crafting with copper, and I agree that it adds so much warmth! It looks so pretty on your packages! Hey there fellow copper lover! So looking forward to bringing more copper into my holidays and my home, it really has a lovely depth to it. Thanks for stopping by.